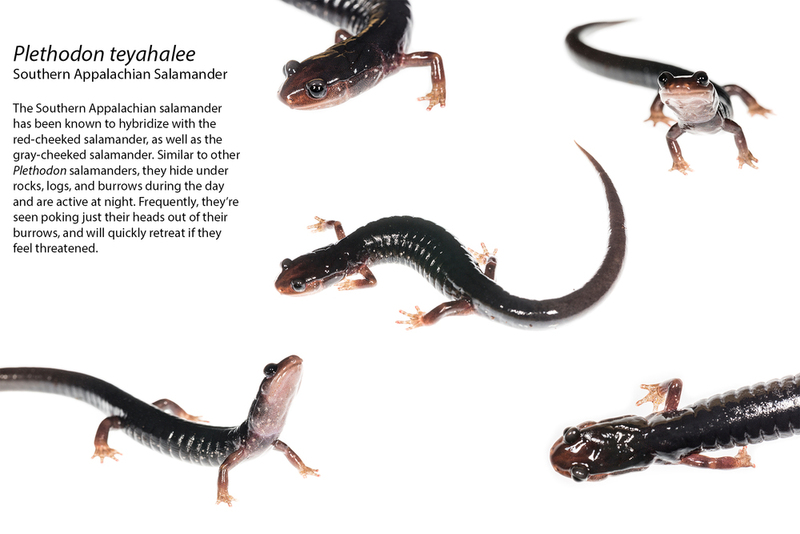 During the summer of 2015, I spent extensive time in the field searching for various species of salamanders throughout Great Smoky Mountains National Park. Outside of my personal work of documenting various species within the park, I spent a few nights working with evolutionary biologist Austin Patton who is working on his PhD dissertation on examining hybridization between Plethodon jordani (Red-cheeked Salamander),Plethodon metcalfi (Grey-cheeked Salamander), and Plethodon teyahalee(Southern Appalachian Salamander). Historically, hybridization tends to be viewed as a negative force in biology. Recent literature has poised that hybridization may actually accelerate the diversification process. This could possibly result in new species better adapted to a rapidly changing environment. 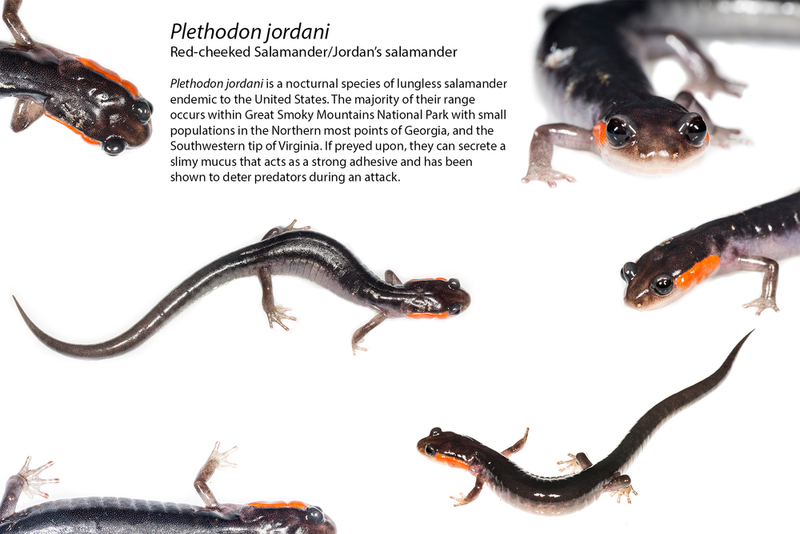 Patton is using modern genomic approaches to help describe the contribution of hybridization to the historical diversification of these Plethodontid salamanders and to identify its role in contemporary adaptation. All images with a white background were shot using the Meet Your Neighbours (http://meetyourneighbours.net) technique. All salamanders were shot on location in the field and released immediately after photographing. My reason for photographing using this method is that these are nocturnal animals, and photographing them at night using flash would make their environment look unnatural. 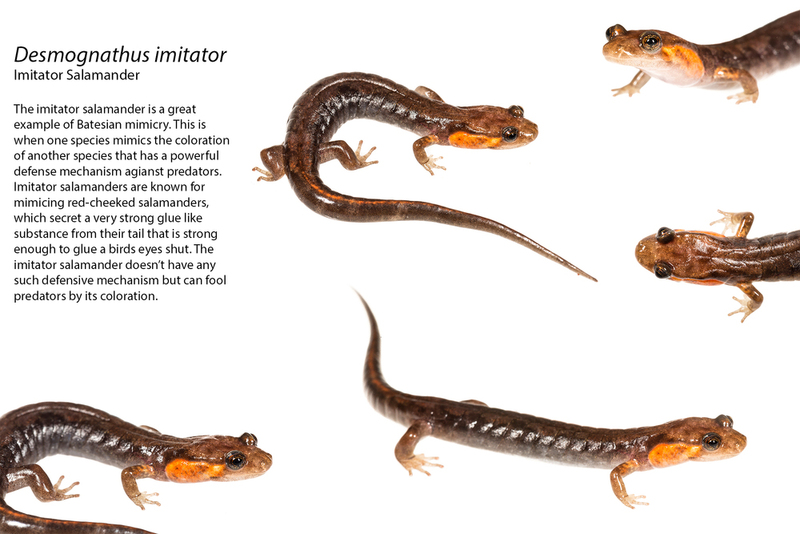 Photographing the salamanders against a white background highlights the beauty of these organisms as well as their unique coloration and detail. 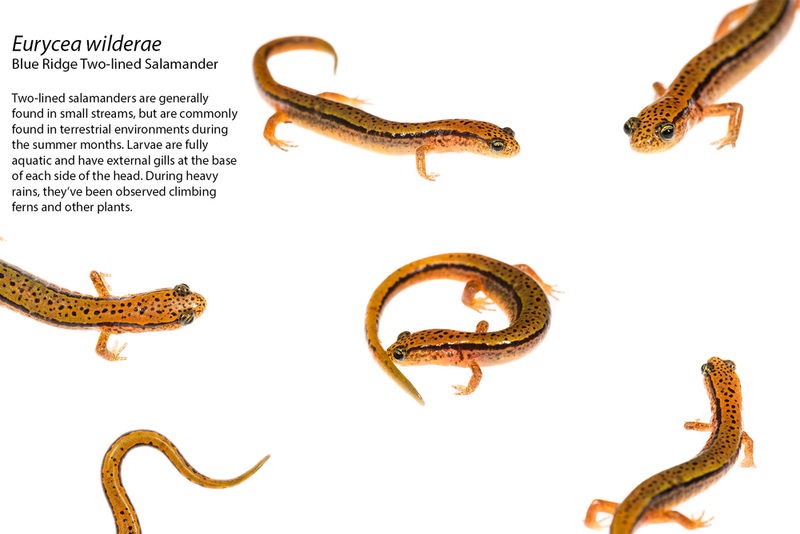 Click through the photographs below to see the salamanders of interest to the study as well as hybrids we found. The rest of the collection are other salamanders I found within the park.